Hallway visualization will help you to see it before the repairs. When they come to visit you first, they served in the hallway. Therefore, it should look very good. 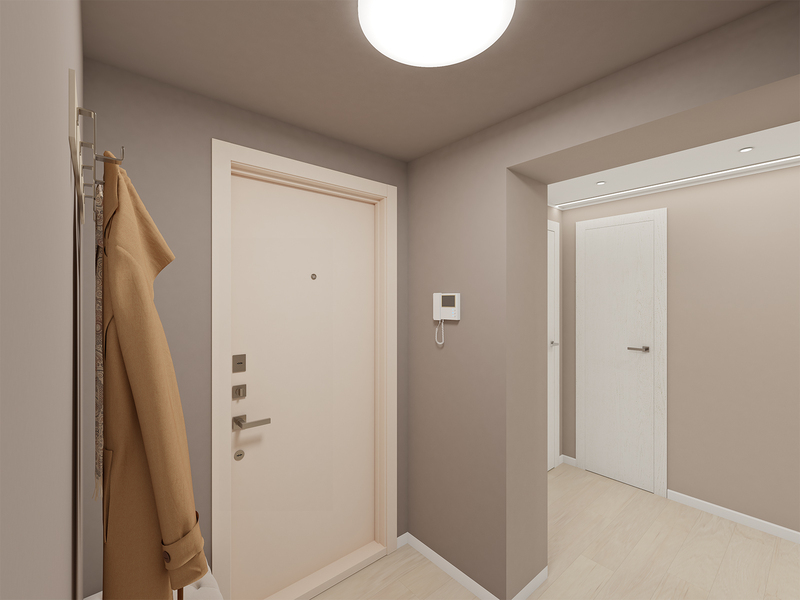 In addition, the hall should be compact and comfortable for all family members. 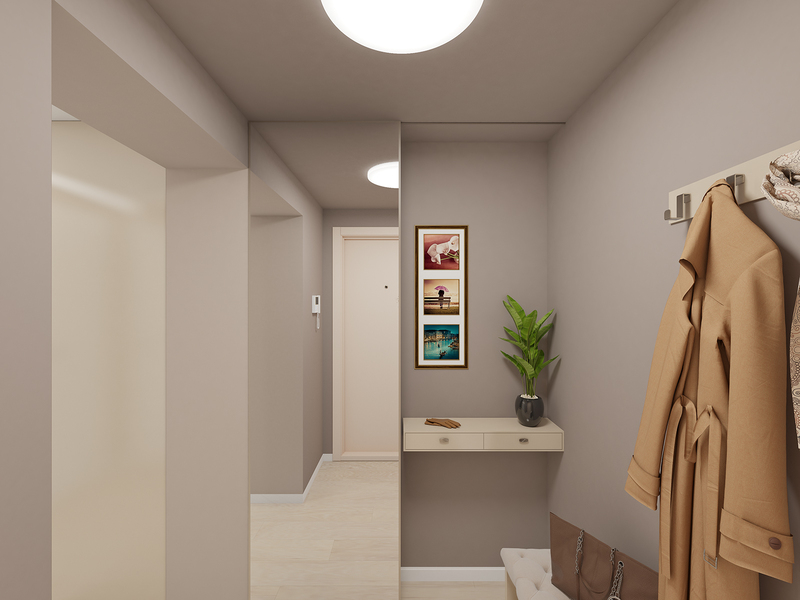 On the hallway visualization, we see that the designer used a gray tint of the walls and ceiling. 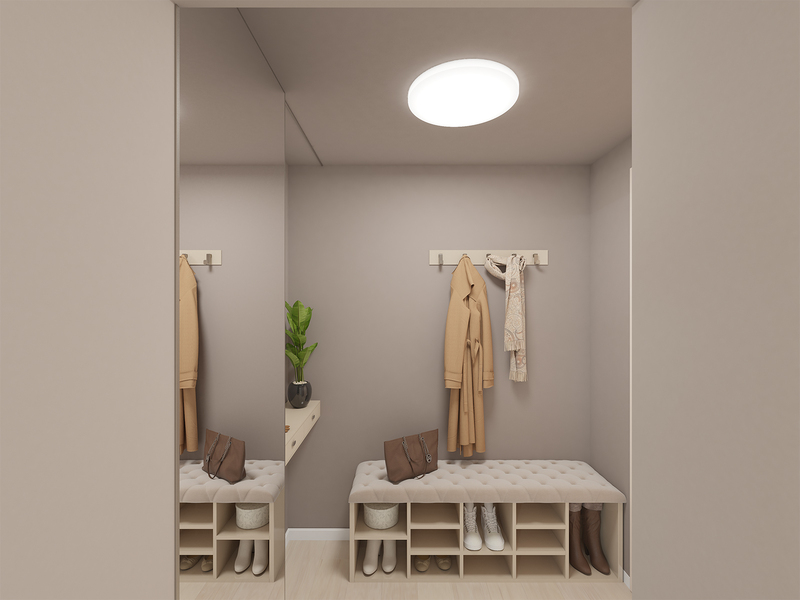 Gray color in the interior plays the role of calm, home comfort. On the floor, we can see the visualization hallway parquet light oak. A white baseboard complement this room. 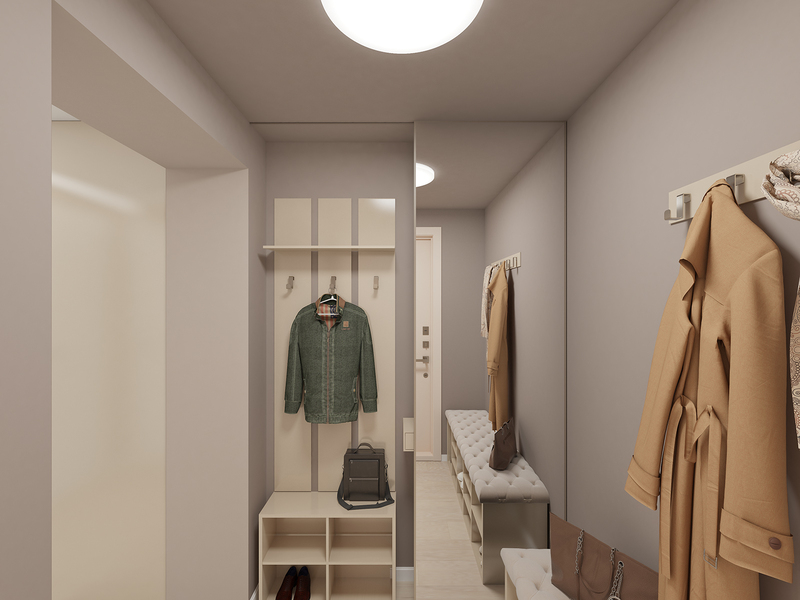 On the area of three-square meters of designer placed a large locker with upholstered seat and shoe departments. It saves space. Also the cupboard, hanging clothes hooks. The door is white, and there is an intercom next to it in white. On the opposite side of the driving mirror to the full height. As well on the other side, you can watch photos and a shelf for small things. On the other hand, having moved the mirror, we see the hallway for things. A large chandelier in the form of a tablet on the ceiling illuminates the room.